Monogrenade in Montreal or Quebec City? Inform me about the next events for Monogrenade. Enroll yourself to our priority waiting list for Monogrenade to be alerted when new tickets are available. Filling this form doesn't engage you to any purchase. The band Monogrenade is playing at the Palace of Granby on march 18th. 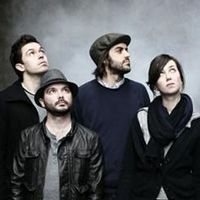 Formed in 2008, Monogrenade, with Marianne Houle, François Lessard ans Mathieu Collette, as win the third place of the Francouvertes in 2010. Is first album is going out on march first 2011 on Bonsoud Records.